IFV News released a video about virtual worlds and social media in the Fashion Industry. 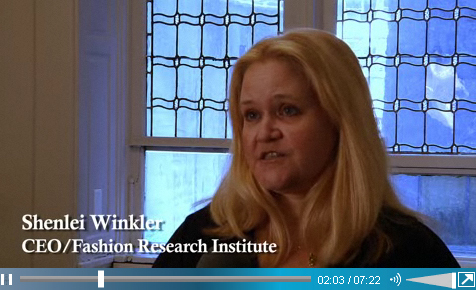 Watch Shenlei Winkler, CEO of the Fashion Research Institute in action! CEO Shenlei Winkler talking about the use of virtual worlds to save time, cost and waste.